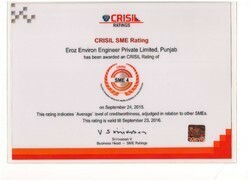 We are working under the supervision of Mr. Anil K Verma. He started his career as proprietary concern. He is an Engineering Graduate and Business Management professional. He is serving the industry from last more than twenty five years and established his name in the market. Now, he is globally recognized person in this field. 2. 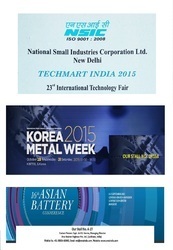 PARTICIPATED IN KOREA METAL WEEK 2015 DURING OCTOBER 2015, KOREA, STALL NO. 2H168. 3. PARTICIPATING INDIA INTERNATIONAL TRADE FAIR HALL NO.14 STALL NO. D-02. 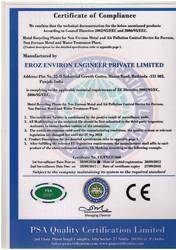 We are blessed by highly skilled and experienced team of professionals, who assist us in assembling a qualitative range of plants as per the defined quality standards. All professionals working with us are familiar with the quality norms and make use of advanced technology in the manufacturing process. Our professionals are chosen by us after analyzing their skills and past experience. Additionally, to enhance the skills and knowledge of our professionals, we organize various training sessions and skill development programs at regular basis. 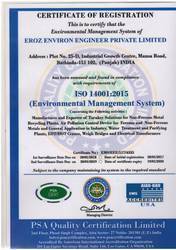 CE certificate for quality standards. WE WILL PARTICIPATE IN 11TH POWER-ON 2016 DURING 8TH TO 10TH JANUARY 2016, GANDHINAGAR, GUJARAT. 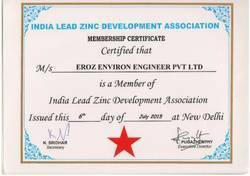 EROZ has its Registered Office and Works at Bathinda, Corporate Office and Marketing Office at Ludhiana, Industrial Hub of Punjab- India. Our manufacturing facility is located in Industrial Growth Centre, promoted by Government of Punjab, with all ultramodern facilities. The location is ideal to serve the clients conveniently for domestic and export business and well connected to Delhi, Capital of India. Our manufacturing facility is well equipped with all kinds of machines to cater to the requirement of our customers. As there is no end into improvement, we are moving towards advance and modern manufacturing system and precision in manufacturing of our Products. To become the benchmark manufacturing company for the metal recycling industry providing world-class products to satisfied customers through continuous improvement driven by the integrity, teamwork and creativity of our employees. 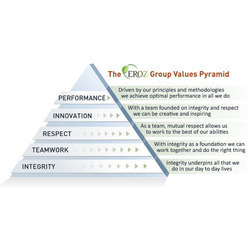 The following are our core values against which we measure ourselves in the way in which we do business on a day-to-day basis. Integrity: We will conduct our business in a way that makes us proud, doing what we promise to do and doing it in the right way. Teamwork: Partnerships are our greatest strength both internally and externally. We will come together and strive for continuous improvement in all we do and encourage every individual to realize our full potential. Respect everyone: It is important to us and we will respect our customers, partners, and suppliers and the trust they place in doing business with us. We will strive to serve to the greatest of our abilities through understanding and exceeding expectations. Innovation: We will support and encourage the sharing of ideas, insights and experience to continually improve our products, processes and capabilities for the benefit of our customers. Performance: underpins our success in all we do. Through continuously challenging and measuring ourselves we will achieve our vision of becoming the benchmark against which all other manufacturing companies are measured.